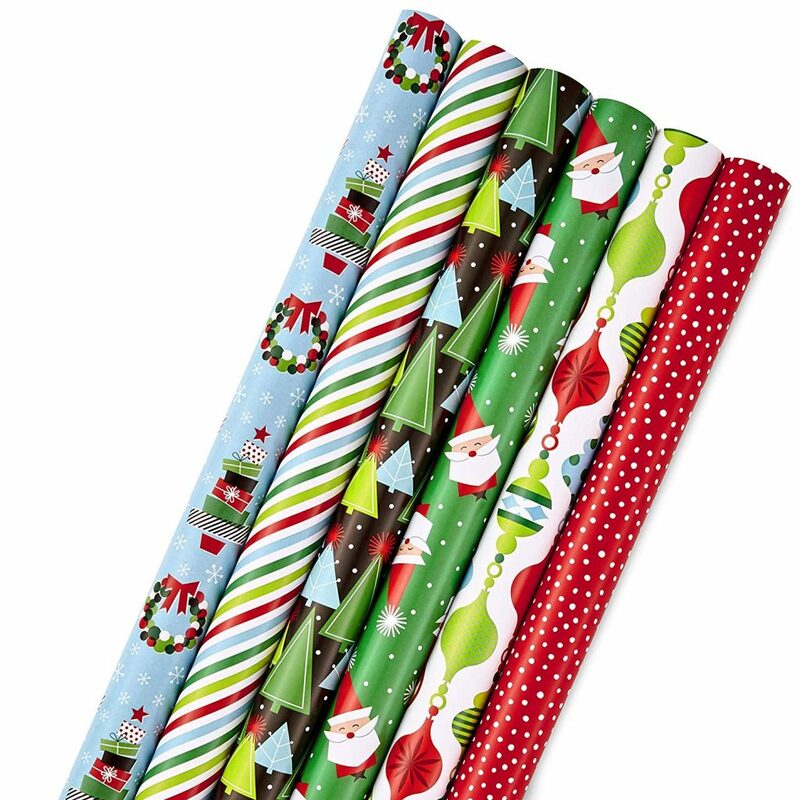 Right now on Amazon you can grab this Hallmark Christmas Wrapping Paper Bundle with Cut Lines on Reverse, Modern (Pack of 6, 180 sq. ft. ttl.) at it’s lowest price ever as an add on item- under $10!